Excellent music from a somewhat under-rated organisation. Soloists include Red Allen, J.C. Higginbothem, Buster Bailey, Billy Kyle and Adelaide Hall. Transfers by John RT Davies and linernotes by Richard M. Sudhalter. Quality all round. A complete chronological set starting from October 1933 and finishing when the band broke up in 1937. 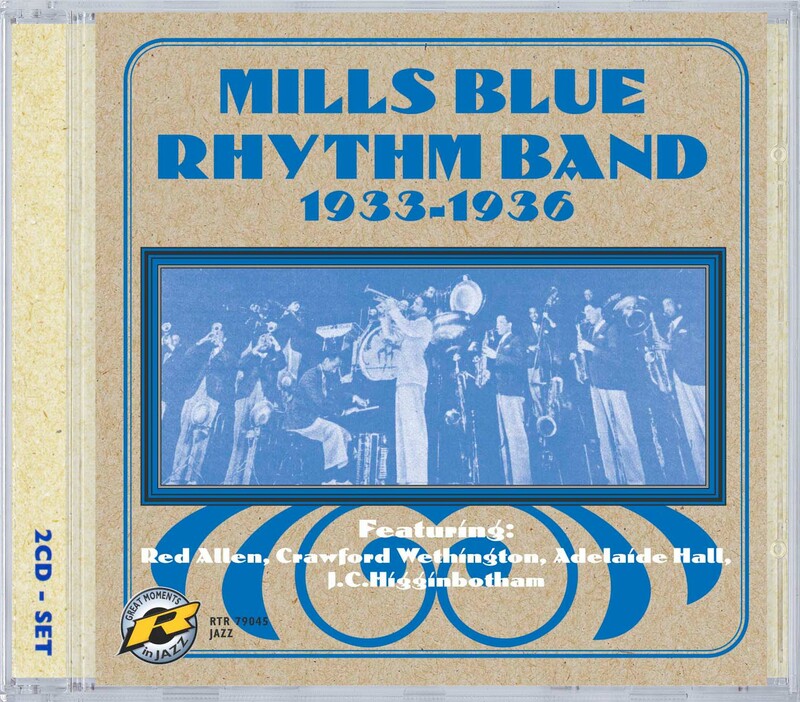 Managed by Irving Mills, the shrewd entrepeneur who guided the careers of Duke Ellington and Cab Calloway, Mills Blue Rhythm Band carved themselves a solid reputation in the 1930’s, whilst never quite reaching the heights of the other two. "Transfers are smooth.. The set fills a very important gap .. 32 very pleasurable tracks"